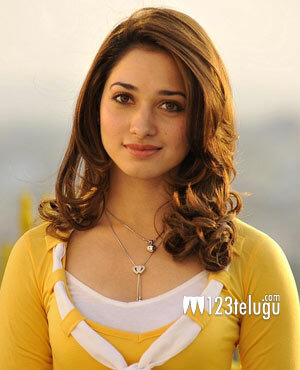 Tamannaah approached for a Kannada film? If rumours are to be believed, Tamannaah has been approached for a big budget Kannada film. So far, Tamannaah has acted in Telugu, Tamil and Hindi films and her shooting schedules over the past few years haven’t given her a chance to explore other languages. A section of media has reported that Pawan Wadeyar, a Kannada director who recently made Potugadu, has approached Tamannaah to star in his next film, starring Puneet Rajkumar. However, there’s no official confirmation regarding this latest rumour about Tamannaah. Neither the actress nor sources close to her have spoken about the offer. Meanwhile, the actress has wrapped up a major schedule for her upcoming Telugu film Aagadu, in which she’s paired up opposite Mahesh Babu. She’s expected to join the sets of Baahubali later this year.